A new musical production called "1969: The Second Man" explores Buzz Aldrin's incredible adventures and accomplishments. Buzz Aldrin's story takes center stage in "1969: The Second Man," a new theatrical production that explores the life of the second man on the moon. 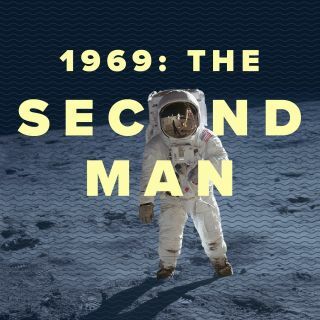 Self-described as a "folk-rock fable for the runner-up in all of us," "1969: The Second Man" explores Aldrin's journey to the moon and what it was like to "come in second." After returning from his historic extraterrestrial exploits, reporters asked Aldrin if he wished he had been the first to step foot on the moon, and to some people's surprise, he responded, "I didn't really want that because of the added heartache." The cast of “1969: The Second Man” has fun in rehearsal. "1969: The Second Man" combines a Space Age tale with a six-piece band and unique musical stylings. The cast will include Jacob Brandt, Paris Ellsworth ("Go! Go! Gilgamesh"), Lizzie Hagstedt ("Sweeney Todd" national tour), Angel Lin ("Interstate"), Maya Sharpe ("Hair") and Tony Aidan Vo ("The Great Leap"). If you want to join the cast and follow Aldrin's incredible adventure into space, you'll want to check out this production. Previews for "1969: The Second Man" begin Aug. 24, and opening night is set for Aug. 28 at the 4th Street Theatre, as a part of the 2018 Next Door at New York Theatre Workshop season. The production will run through Sept. 8. Tickets are now available online.